GameTap was the first broadband gaming network, beginning life as online video game service which later moved on to become a global gaming service. It was essentially the beginning of online gaming as we know it today. Established first by Turner Broadcasting System (TBS), GameTap launched back in October, 2005 with a catalogue of over 300 games. This has grown to over 1,000. 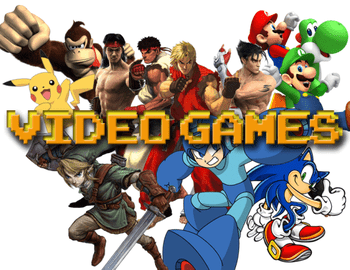 The game licenses initially acquired by the company included Activision, Atari, Sega, and Namco. More companies have now licensed their software including Eidos, Interplay, Capcom, and Konami. The primary function for GameTap was to be an online subscription rental service and they offered two subscription levels. The company funded the development of a number of titles known as GameTap exclusives including Sam & Max Season One and Myst Online: Uru Live. The subscription based gaming service allowed users to enjoy unlimited access to some of the world's greatest video games using their broadband and pc. This included console games, arcade classics, modern PC games, and even exclusive titles for a small monthly fee. In September, 2008 the service was sold to Paris-based Metaboli. After the transition the service became available to non-US/Canadian residents. In 2009 GameTap Player was replaced by the GameTap Plug-in. The subscription levels were also changed to include Free Pack, Classic Pack, and Premium Pack. Many of the features previously offered were lost during the migration and users with 64-bit versions of Windows can only play games that are marked as 64-bit compatible. The rest of the games are currently being worked on to make them 64-bit compatible. GameTap now sells games via an online distribution method. The option to play a limited number of free games without subscription has been discontinued. The site offers plenty of multiplayer games that can be played by two users on the same computer whilst many others can be played online using a VPN client such as Hamachi. Some of the games come with an enhanced online leaderboard and challenge lobby which adds to player enjoyment. Every Monday GameTap holds a leaderboard tournament that focuses on a different game every week. GameTap can be installed on two computers at the same time and there are seven sub-accounts that can be created. It comes with parental controls and a large number of the games are configurable. GameTap allows players to chat with their friends while playing games. It also allows you to challenge friends and be challenged. This feature can be turned off if you don't want to take part in challenges. Players can view the full list of games available on the website before subscribing and creating and account.